Commercial fuel suppliers with passion! 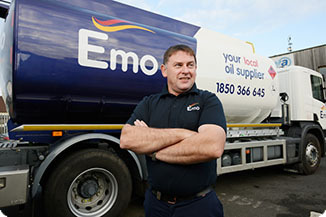 Emo Oil supplies commercial fuel to a broad range of industries and sectors throughout Ireland. Our diverse portfolio of commercial fuel oil customers include multinational pharmaceuticals, large commercial offices, factories, schools, hospital, farming, haulage and transport firms. Our national account team are on hand to review your requirements and discuss the benefits of our different fuel types. Our nationwide depot network combined with our extensive artic and rigid truck fleet means Emo Oil can service all parts of Ireland for both bulk and rigid deliveries. We guarantee next day delivery and endeavour to ensure same day delivery when possible. Emo Oil, as part of DCC Energy, can offer a combination of pricing and credit terms that are unmatched by our competitors. That’s why more and more companies are turning to Emo for a “tailor-made” supply agreement, to find out more please contact us by clicking on the icon in the right-hand corner. 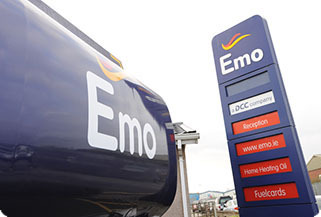 Emo Oil is part of DCC Energy, which is the leading oil and LGP supplier in Ireland and the UK. This means we can provide the best price and service for you. Our commercial fuel oils are of the highest quality, with regular terminal sample testing.